If you have dental pain, you need relief and you need it soon. Delayed care can lead to serious complications and you may even develop more dental issues along the way. Before you take any matters into your own hands, take a moment to look through the list of 24-hour Broken Arrow emergency dentists below. You will be able to quickly identify which clinic in the Broken Arrow area is best for your dental emergency. I called Emergency Dentists USA to find an emergency dentist when mine was closed on a holiday weekend. The staff here is the best, they are super sweet and will find a dentist for you within minutes! Many dental offices only work on a traditional schedule of Monday through Friday from 9:00 am until 5:00 pm and this does not always work for everyone. In these cases, you may forgo the care you need and this can lead to further problems and complications. Fortunately, there are several emergency dental options available to you in Broken Arrow and you can choose the one that best works for you. You will find walk-in clinics are available to you and these types of offices are ideal for patients who need to be seen but do not have a dental emergency. In addition to walk-in clinics, you will also find after-hours clinics that are open until about 7:00 pm. These offices are ideal for patients who need to be seen outside of traditional hours and for those who have a moderate dental problem. While you are experiencing tooth pain, the last thing you want to do is spend a bunch of time trying to find an emergency dentist in Broken Arrow to help you. Fortunately, we have done the hard work of looking around for a dentist and all you have to do is take a look below and find the emergency dental office that you want to contact. Description Emergency dental needs can creep up on anyone in your family at the drop of a hat, and suddenly become a huge problem! Our hotline is staffed and ready to go 24 hours a day, 7 days a week, so don’t postpone giving us a call when you feel you’re experiencing a dental emergency. Description: This clinic makes a promise to see emergency patients the same day that they arrive or call in, and they definitely want to be there when the need arises. From emergency extractions to root canal therapy and x-ray diagnosis, every staff member here understands that those who come with emergency pain issues may be under severe duress, and will treat them with the utmost of care. Description: Aspen Dental is a weekday clinic that offers help for standard checkups, x-ray diagnosis, root canal therapy, and more. This is a successful nationwide chain that has a branch here in Broken Arrow, and many residents call it their primary care dentist. Description: This group is set up to handle same day dental emergencies in Broken Arrow, OK. If you are wondering why you might choose this practice, consider that they charge only $59 for the exam, cleaning and X-rays. The staff is dedicated to provide quality and personalized service and foster an environment of continuing education to stay abreast of changing technology. Description: Cedar Creek Dental Care is available to help you whenever a dental emergency happens. If you require emergency dental care, rest assured that they will provide you with the emergency dental care that you need and deserve. Your appointment at a local 24-hour Broken Arrow emergency dentist will be like an appointment at your general dentist’s office. When you call in to make an appointment, you should inquire about the cost of the services and what type of payment methods are accepted. It is important to know that not every dental office will accept cash or checks, so you want to be prepared to pay when the time comes. If you are unsure of what procedure you need, you should inquire about a price range for common services. This way, you know what the least amount you need to pay will be and what the maximum could be. If you have dental insurance, it would be a good idea to let the office know while you are on the phone with them. This will allow them to properly quote you and bill your insurance company when the time comes. If you have never visited the chosen emergency dentist office before, you should arrive about 15 minutes prior to the time you scheduled so that you can fill out paperwork. This paperwork will ask you information about your dental and medical history, so that the dentist knows how to properly treat you. If you are allergic to any medications or if you suffer from dental anxiety, it would be a good idea to let the office know before you head back for your appointment so they can properly prepare for you and accommodate your needs. No matter what type of dental emergency you have, you need to have it looked at and care provided to it. 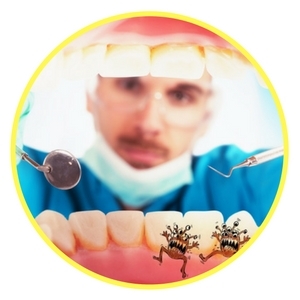 This will prevent the spread of tooth decay, infection, and other problems that may arise. Dental pain can be mild to severe and the type of pain you experience will depend on the exact problem you have. Every dental situation is unique and if you have any of the listed dental emergencies below, you should visit your local Broken Arrow emergency dentist. A dental abscess is a serious dental emergency and needs to be handled quickly to prevent the spread of infection. 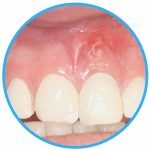 A dental abscess can form by the root of a tooth or in between teeth, and will usually present itself similar to a pimple. If you have one or think you have one, you should avoid touching it or trying to drain it on your own. You can rinse your mouth out with warm water and apply a cold compress to the exterior of your cheek, should it cause pain and swelling. 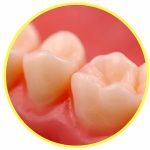 If you have lost a filling, it is important that you try to recover it if you can. Fillings can come out at any time due to trauma to the tooth or even a weakened tooth structure. If your filling falls out, you can place a piece of sugar-free gum into the hole or you can use an over-the-counter dental cement inside. You need to make sure you choose sugar-free gum because traditional gum can aggravate the tooth even more. Tooth trauma that is caused by an accident can take place at any time and any place. For example, your tooth can get knocked out during a softball game or you could hurt yourself in a car accident and break your jaw. These are all accidents that occur and lead to tooth trauma. When these situations occur, you want to recover your tooth or any pieces of your tooth and then rinse your mouth out with warm salt water. If bleeding is present, you should apply a moist piece of gauze to the area and press down firmly for 15 minutes. A dental emergency can lead to an emergency tooth extraction, especially when the tooth in question cannot stand alone or it cannot be corrected with other tooth-saving measures such as a filling or a dental crown. Dentists, even emergency providers, will try their best to save the tooth first, but when it cannot be saved, an emergency extraction is typically suggested as the treatment option. Not all tooth problems will require an extraction and not all tooth problems are an emergency either. If you have been told you need a tooth extraction, you do not want to delay care, as this may mean that the problem becomes worse or the infection spreads to other areas of your mouth or body. You should seek out care from a Broken Arrow emergency dentist the moment there is a problem or severe pain. Once the extraction is completed, you will need about one to two days to heal. Some patients do not need any time, but you should always follow the aftercare instructions provided to you and take the medications prescribed. If you have a dental emergency, you may think that the first place you should head to is your local emergency room. More patients have been doing this, but it is not the best place to serve your dental needs. In fact, the emergency room is not equipped to perform dental procedures, which means they cannot provide the care you need. The ER doctors will be able to look at the tooth and determine the severity of the condition and they can prescribe medication, should you need it. You would be better served at a local Broken Arrow emergency dentist office. Here, they will be able to perform the procedure you need to eliminate the pain you feel. Emergency dentists have the tools and equipment needed to properly handle your dental emergency. While the emergency room is not the best place for dental emergencies, there are times that you should still visit the ER. For example, you would still want to visit the ER if you sustained head trauma, were in an accident, or you broke your jaw. 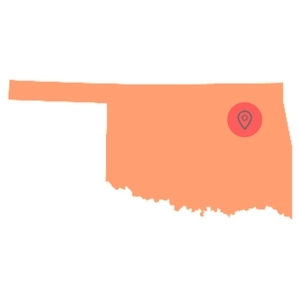 We do recommend that you check with your local Oklahoma or Broken Arrow dental society before you visit a new dentist. You should check the credentials, licenses, and certifications of all dentists you plan to visit. You can also check the local Oklahoma Board of Dentistry and the Oklahoma Board of Dentistry License Verification. Emergency Dentists USA is a website that is designed to be used for informational purposes only and should never be used to replace any advice of a medical professional.